Published in Rett Kopi: Manifesto issue: Dokumenterer Fremtiden (2007): 152-56.
quoting Margory...'As a rhetorical feat, the First Manifesto is thus remarkable. 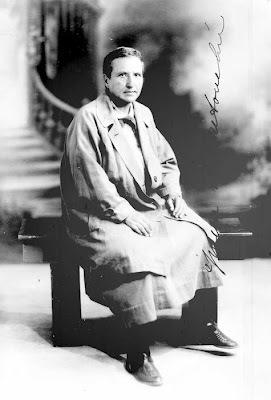 But rhetoric and poetic are not necessarily equivalent, as no one understood better than one of Marinetti’s most discerning critics, Gertrude Stein. In her subtle and devastating portrait, Marry Nettie, written during her sojourn, with Alice B. Toklas, in Mallorca during the war that was to be the “hygiene of the people,” Stein replaces Marinetti’s bombast, his pithy pronouncement, and reliance on onomatopoeic sound effects with a subtle word play and dislocation of syntax that may be said to constitute a kind of anti-manifesto of her own. The “Principle calling” and aggression (“artillery is very important in war”) Stein attributes to Marinetti give way to a calculated withdrawal into the private sphere where two women try to live their day-to-day life as best they can in the context of the chaos around them. In the middle of her fractured narrative, Stein remarks, “We took a fan out of a man’s hand.” The fan is, of course, a traditional emblem of femininity, but here, the fan, carefully removed from male control, morphs comically into an electric fan. “We will also get a fan,” the narrator has already declared to her companion. “We will have an electric one.” Electricity, claimed by the Futurist cenacle as its domain, thus becomes, by a sleight of hand, a female property—a property that has its peacetime uses. Or so Marry Nettie implies. Does Stein’s oblique and brilliant anti-manifesto thus present a credible challenge to Marinetti’s own? Yes and no. Yes, in that her implicit critique of Marinettian violence is certainly preferable to the call for “war” as the “hygiene of the people.” But what about audience? Almost a century after it was written, Stein’s brilliant but difficult Marry Nettie remains an obscure poetic composition, rarely reprinted and unknown even to some of the poet’s enthusiastic readers. For sheer audience impact, Marinetti’s manifesto retains its aura, however distasteful its extractable ideas. It offers “solutions” whereas Stein’s text dramatizes the need for quietude, daily routine, and individual fulfillment. How, in her scheme of things, is the “war” Marinetti advocates to be avoided? Stein has no answer. But “Without contraries is no progression” (Blake): we need both Marinetti and Marry Nettie if we are to understand the aporias of Modernism'.